Diesel Zero Plus for Men - an aftershave I picked up on impulse when buying the ill fated Gucci Rush for Men. In terms of an impulse buying, this shopping trip it was a disaster! Since buying my bottle I have seen this on sale all over the place and online. If you like it, don’t pay more than £12.99 for a bottle. Anything more than that and you are being taken for a mug. It can retail in some shops at up to £27.99. Apart from the price and brand name the actual bottle and packaging does look rather funky as the pictures show. The male and female versions come in the same style bottles with the only difference being feminine and masculine written on the side. The actual bottle is a deep red colour and comes enclosed within a clear plastic capsule. It looks good and doesn’t look out of place on a shelf with more expensive rivals in the fragrance market. Launched in 1995, Zero Plus is classified as a refined, oriental woody fragrance which should blend to give a manly masculine fragrance suitable for eveningwear. On first application the first thing that struck me was the actual grip I could get on the bottle rather than the fragrance. It is easy to grip, even with wet hands and the atomiser released a healthy amount of the fragrance with a fair amount of force. As soon as the fragrance is released from the bottle it was like there had been an explosion of smells in my bathroom. This is one spicy fragrance. It quickly became evident that it’s a very heavy fragrance, the spicy fragrance became less obvious and yes it did have an oriental feel but the overriding smell after ten to fifteen minutes was that of an oak tree. Woody is an understatement; it was like sniffing a freshly chopped log at close quarters. As the fragrance mixed with my skin over time the woody smell also became less obvious but it was still the strongest of the notes by far closely followed by a spicy assault on my nostrils. As the smells changed and settled the first thing that sprang to mind was that I had smelt this somewhere before. I wasn’t imagining it, and after further investigation I realised that this is nearly identical in smell to……….Old Spice…….. The actual fragrance lasts for well over 8 hours as it is exceptionally heavy and it seems to cling to clothes. As I only used two sprays from the atomiser I have to say in it’s defence, it would have been good value for money had I been able to wear it again as this would last for a number of months even if used on a daily basis. 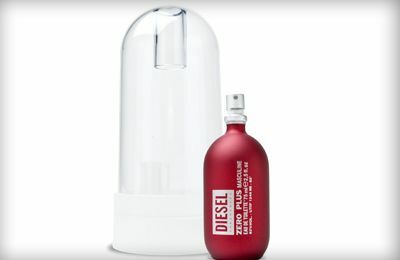 I found Diesel Zero Plus for Men a cheap and nasty fragrance that left me feeling very self-conscious about how I smelt. I’ve worn this once, and that was to smell what the fragrance was like and I won’t ever be wearing it again. Designed for eveningwear my a**e, it’s designed to repel all known forms of life more like. At £7.99 for the bottle I should have expected a nasty fragrance but I didn’t. I must have been having a ’senior’ moment in the shop. Had I paid more for the bottle I would have been most upset but it’s true what they say. You get what you pay for, and in this case you most certainly do……. I hate this too, if my ovaries could vomit, this would probably be the cause. I also realise how weird that sounds...! I've never tried this one but years ago (read: a looooong time ago) I tried the white bottle version (can't recall the name) and it was a nightmare! I think there is a reason why this range didn't get that much airtime. Great, honest review! Eek this doesn't sound good!